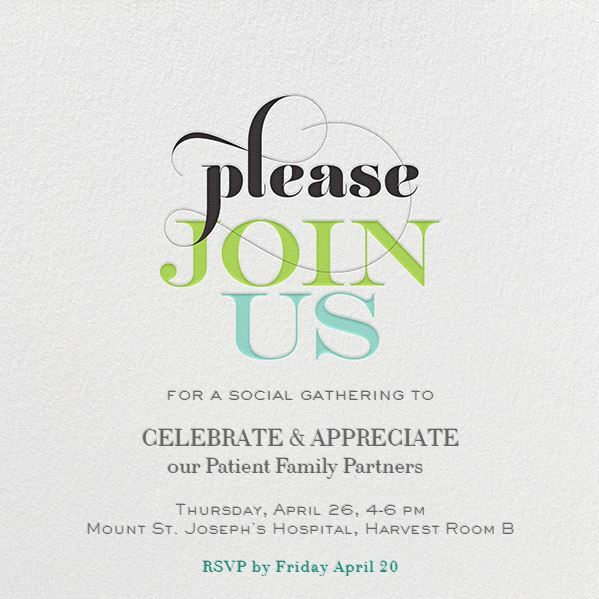 Providence Health Care invites their Patient Family Partners to a social gathering to celebrate and appreciate their work. This event is part of Patient and Resident Experience Week (April 23-26, 2018). Thursday, April 26, 4:00 – 6:00 p.m. Please RSVP by Friday, April 20. To RSVP, or to get more information, please contact Kelly Third at Kthird@providencehealth.bc.ca or 604.682.2344 ext. 62698. Note: You must have previously volunteered with Providence Health Care in order to attend this event.